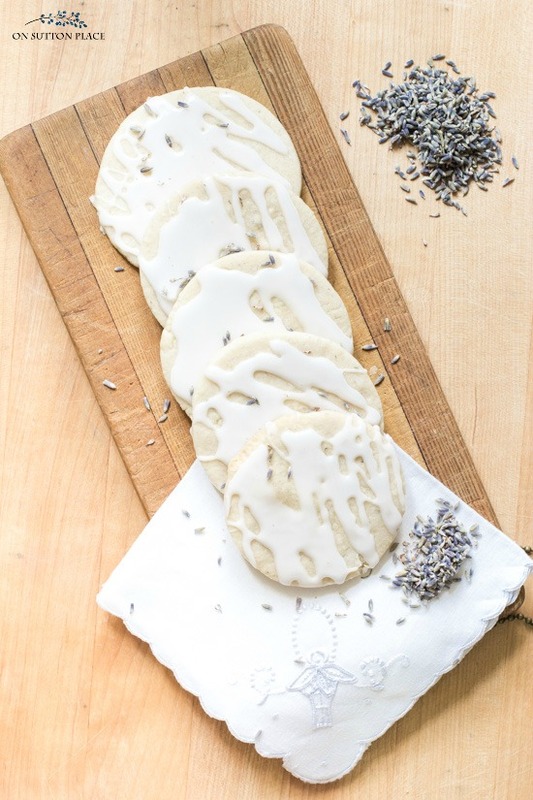 An easy shortbread cookie recipe: simple ingredients & the fresh taste of lavender make these lovely lavender shortbread cookies perfect for any occasion. It never fails to amaze me how one simple ingredient can take a recipe to a whole new level. These lavender shortbread cookies are so easy and with just six ingredients they can be whipped up in no time. Shortbread cookies are pretty perfect on their own…but adding a twist is really fun. In this shortbread cookie recipe, the twist is fresh lavender buds. Just two teaspoons mixed in with the sugar is all you need. Lavender Shortbread Cookies…an interesting taste. I had never tasted anything made with lavender except Herbes de Provence…and in that the lavender is combined with other herbs so you don’t get the full-on taste. When I was trying to think of how to describe the taste of lavender, the only thing I could come up with is that it tastes like it smells. Fresh and lovely. When you take that first bite of one of these shortbread cookies, it’s such an interesting experience. I seriously have not ever tasted anything like it. Using a small food processor or blender, pulse sugar and lavender buds several times. In a large mixing bowl, or bowl of a standing mixer, beat butter, sugar/lavender mixture and vanilla until fluffy. Add the flour, one cup at a time, mixing well between. Add salt and mix one last time. Put the dough out on to a floured surface. Knead it a few times until it comes together. Shape into a circle and roll out to about 1/4 inch thickness. 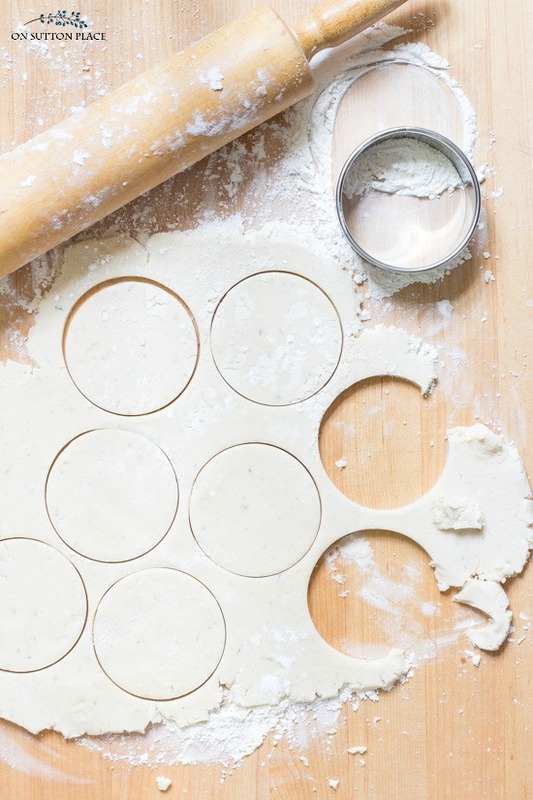 Cut out cookies using any shape cutter and place on a cookie sheet. Repeat this process until all the dough is used. Bake for 8 - 10 minutes until the bottoms are golden. Mix powdered sugar and milk. Drizzle over cooled cookies. I used a 3 inch round cutter and got 16 cookies. If you don’t want to roll and cut out cookies, the dough could be shaped into a log and refrigerated…then it could be sliced and baked. A little lavender sanding sugar on top of the glaze would be very pretty too. 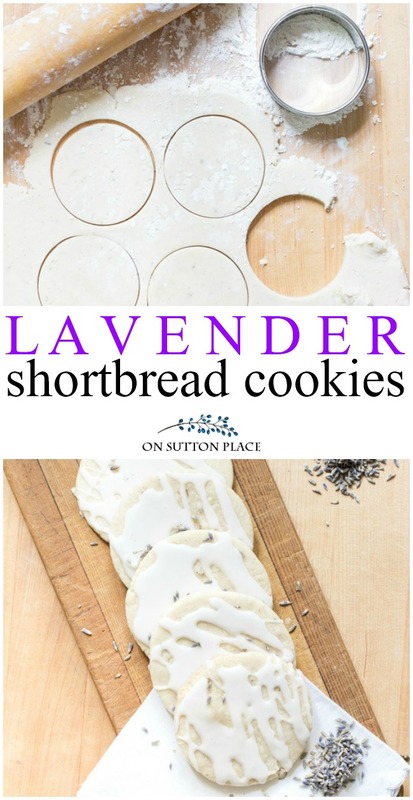 If you aren’t sure about ordering lavender just for these lavender shortbread cookies, I have a few other projects that use lavender. Just click the links below! Lavender shortbread cookies, yum! This sounds simply wonderful for a tea party! Can you use fresh lavender from the garden ? I use lavender essential oil often! I’m anxious to make my own spray for linens and the shortbread cookies too. I couldn’t stop staring at the photo with your measuring spoons because I have a set just like them that were my Mothers. I use them all the time and always hope that her cooking skills are carried on to me by using items that she cherished. I always enjoy your posts and I thank you! 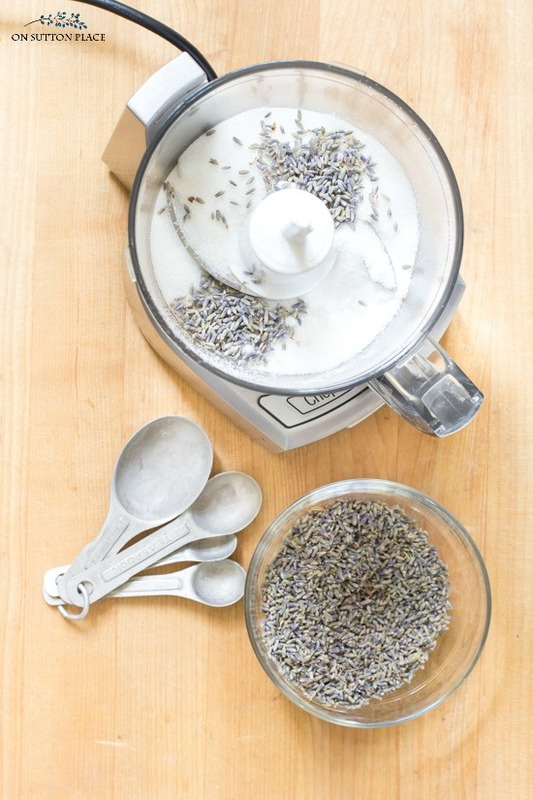 This recipe has me intrigued…I’ve never used lavender in any baking or cooking. I have already decided that I’m going to make some Easter Egg shaped shortbread cookies. I happened to be at Fresh Market today and picked up a small package of food grade lavender for $3. Can’t wait to try…by chance have you made lavender sanding sugar, was curious what ratio of sugar to lavender you recommend? My niece is having a spring wedding shower and lavender is one of her colours so I think I might bake these cookies for her shower. Where would be a good place to purchase food grade lavender buds. I can’t say that I’ve ever seen them anywhere. Thank you for sharing such an interesting recipe. Can’t wait to try these! What a wonderful spring cookie!! I’m going to try this and substitute my Young Living Lavender Essential oil for the Lavender buds. It was really good in some Lavender Pannacotta, so I bet this will be terrific, too. Thanks for the idea and recipe! Love the pics. Your site is a creative coffee break in my day. Sounds intriguing and the pictures are so lovely! I love the smell of lavender. I bet I’d like the taste!